Dynamic vocal mic features high SPL handling without distortion. Need a mic thats versatile enough to go with you from the studio on to the stage? 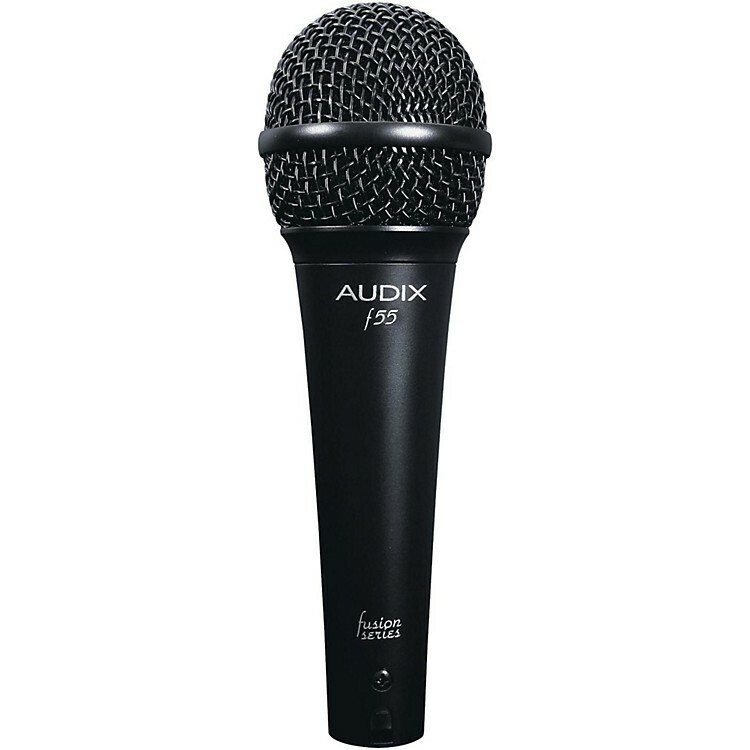 The Audix f55 is designed for a wide range of applications. With its warm, natural sound reproduction, the f55 resist feedback and is able to handle very high sound pressure levels without distortion. This multipurpose dynamic vocal microphone is characterized by its tight and uniformly controlled cardioid polar pattern, which helps to isolate the vocals from the rest of the instruments on stage. The f55 is designed to sound clear and full-bodied with a wide frequency range of 50Hz “ 16kHz. The f55 is well-balanced, comfortable to hold, durable and manufactured with very high standards and tight tolerances. Roadworthy construction includes a precision cast zinc alloy, black e-coat finish, steel mesh grille, gold-plated XLR connector and heavy-duty ABS clip.